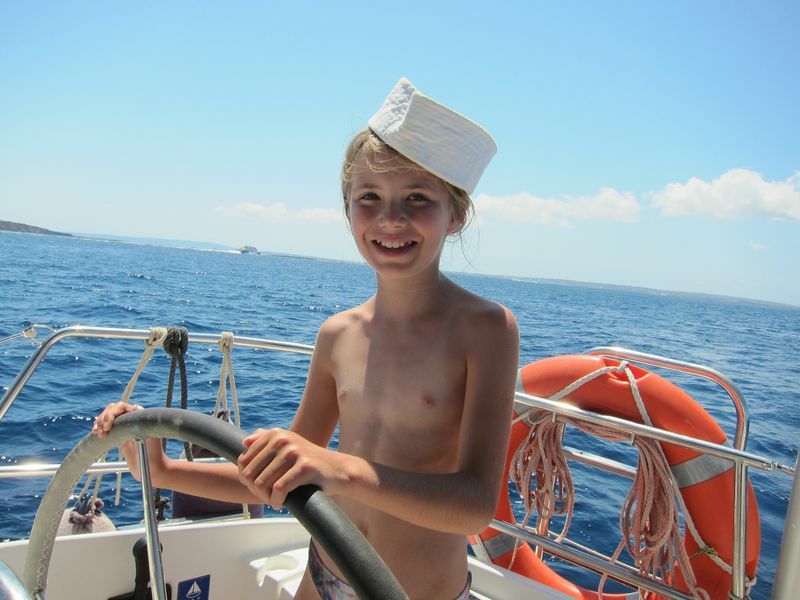 ALINA SAILING is a Sailing School accredited by Spanish Authorities to teach and issue the Spanish nautical licence. A Spanish nautical licence will entitle you to legally drive or rent any power boat with any size engine, jet-ski (jet-ski only up to 75 PH) and any sailing boat up to 6 meters length and to sail up to 2 nautical miles from shore in Spain. To attend the nautical licence course you need to be 18 years old or to be 16 years old with parental permission and to have a medical certificate for sailing. If you want to get your Spanish nautical licence you will need to attend and complete a course with an accredited School. The course consist on two hours theory course and 4 hours navigation practical with an accredited instructor to have your licence issued. The licence will be issued the same day of the course. During our course you will learn the International Regulations for Preventing Collision at Sea (COLREG), limitations on beaches not marked, marked and access channels, regulations regarding maritime traffic and inland navigation in ports and lateral marking in Region A. 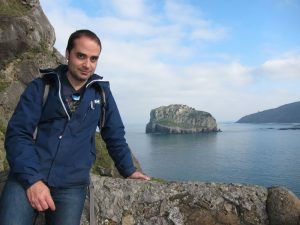 Likewise, the students of our nautical licence course will learn how to handle the boat to avoid the boat rocks and pitches. The nautical licence course subjects include: routine operation of marine VHF radio including Digital Selective Calling, the correct VHF channels to be used for each type of communication, distress, emergency and medical assistance procedures, ship to shore communication and practical use of marine VHF DSC radios, Global Maritime Distress and Safety System. To acquire this licence you need to attend to a two hours theory course and 4 hours navigation practical with an accredited instructor to have the licence issued. The navigation practical will include the following activities: how to use the safety equipment and checks before leaving to the sea, starting the engine and running checks, Basic sailor knots, docking and undocking maneuvers, safety speed, anchoring, precautions with swimmers and divers and man over board and safety maneuvers. 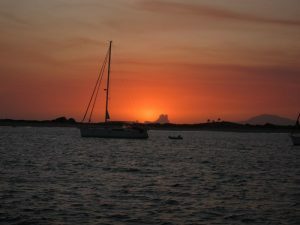 ALINA SAILING, nautical school accredited by Spanish Authorities, holds courses of nautical licence in La Manga del Mar Menor (Puerto Deportivo Tomás Maestre), Murcia. The theory course and the nautical practices take place on board our luxury sailing boat “ALINA”, “Beneteau Oceanis 50”, located in the Dock Number 9, Mooring Point Number 5, of the Marina of Tomás Maestre, in La Manga del Mar Menor, Murcia. 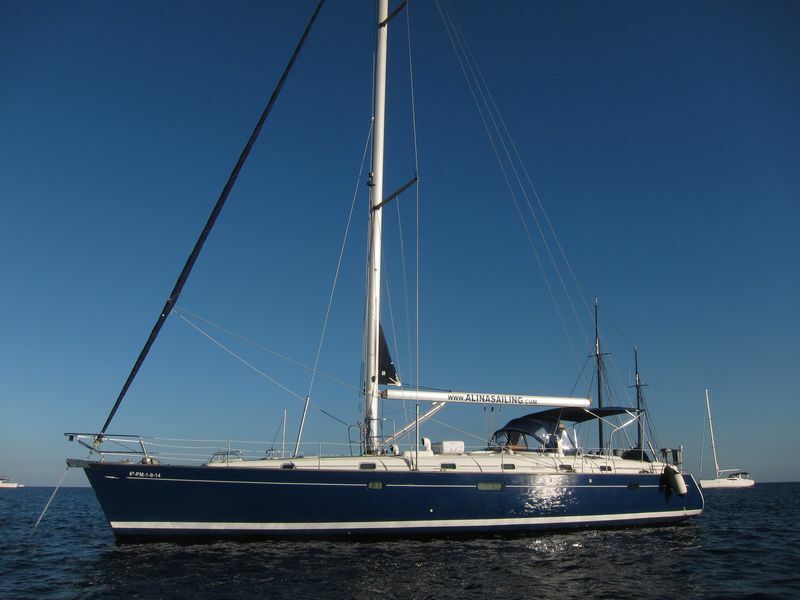 Our sailing boat has 4 double cabins, each cabin with its own individual toilet with hot water shower. If you want to see more pictures of our luxury sailboat, please click on the link ALINA. Our courses will not include more than four students per course. 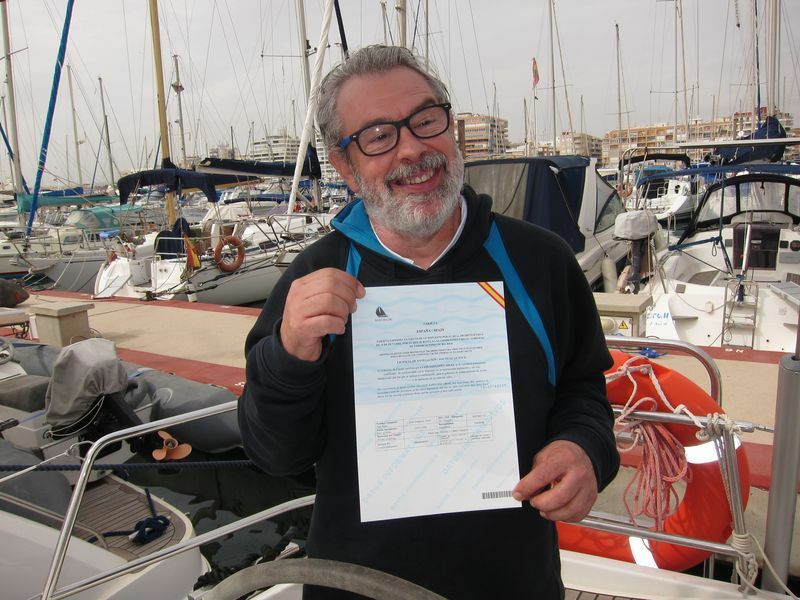 Spanish legislation allows a maximum number of eight students per nautical licence course. However, our sailing school prefers to reduce the number of students per course by improving the quality of teaching. Our nautical licence courses take place every Saturday from 08:00 AM a 14:00 PM. The people who wish to attend to our course should contact us before Thursday. 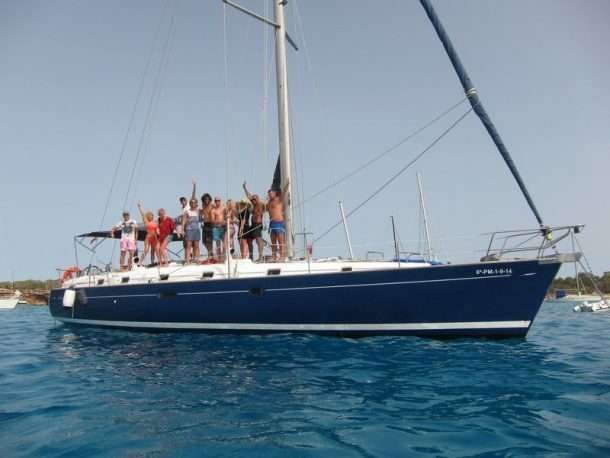 The students can spend the Friday night on board our sailing boat for a price of 50,00 €. Bed linen is not included in the price. Therefore, we advice students who wish to opt for this option to bring their own sleeping bag or bedding. Breakfast on Saturday is included (coffee with milk and cookies).